What did David Isay do when he was given 1M dollars? So what did David Isay, founder of StoryCorps, champion of the personal narrative, the people’s listener, do with his 1,000,000 dollar TED prize? David Isay and his StoryCorps team have taken their message of listening one step further. They have created an APP where you, your mom, your neighbor, ANYONE can record an interview for StoryCorps. That’s right, anyone, ANYWHERE. View Isay’s TED Prize Acceptance Speech below. It is powerful. Can you say DEMOCRATIZE! Everyone MATTERS! (I’ve realized recently that part of my online persona incorporates the microphone skillz of Aziz Ansari. Ever heard him finish a punch line? ALWAYS in all CAPS, friends.) Link to Ansari’s comedy. I really can’t think of anything more incredible than a way to truly record your loved ones so that their voices, their words, their stories will live on in perpetuity. Incredible. Check out the App here. I’ve already downloaded the app to my phone, but haven’t had a chance to try it out yet. But this is BIG. This is EPIC. This is REVOLUTIONARY. This app will continue to allow StoryCorps to amass the largest body of human voices, stories, and interviews ever complied. It is incredible. The intersection between my personal story of StoryCorps really crosses paths with this app in an interesting twist. What I am saying is, this app allows us to go after something we, myself and my husband, wanted to do a long time ago. While researching StoryCorps for my Master’s Thesis, I found out that you could rent a small sound system to be sent from StoryCorps to our home. I had listened to hundreds of hours of StoryCorps recordings at a sweet little desk smack dab in the heart of the Folklife Center at the Library of Congress. Not an interview went by that I didn’t see the overwhelming merit in the exchange the two participants had. Not a voice crossed those headphones that did not speak to some unique aspect of the human existence. Not only was I researching StoryCorps from an academic perspective, I was totally and completely hooked. Here it was. Here was our chance to join the movement! Here was our opportunity to listen a little more closely to those we love. I don’t remember specific pricing of the sound equipment rental from StoryCorps at that time, but I remember that it was almost cost prohibitive for us as a young couple, living on a shoe-string in an expensive area of the country. (We lived just outside of D.C. in Virginia). At one point, we decided that we would actually order the sound recording system and have it shipped to Utah so that we could record BOTH of our parents’ interviews over the Christmas break in 2008. Time passed, plans changed, and we never did rent the sound system from StoryCorps. But we didn’t ever forget about it. We also did a couple of other interviews one with my Grandmother the other with my Grandfather for the Veterans History Project, also an initiative to record the stories of Americans who served in the armed services during wartime, and archived in the Library of Congress. I know that you know some pretty amazing people. I know that you know and love someone whose voice you would like to have recorded for ALL TIME. What can you do? You can listen to David Isay’s TED talk. 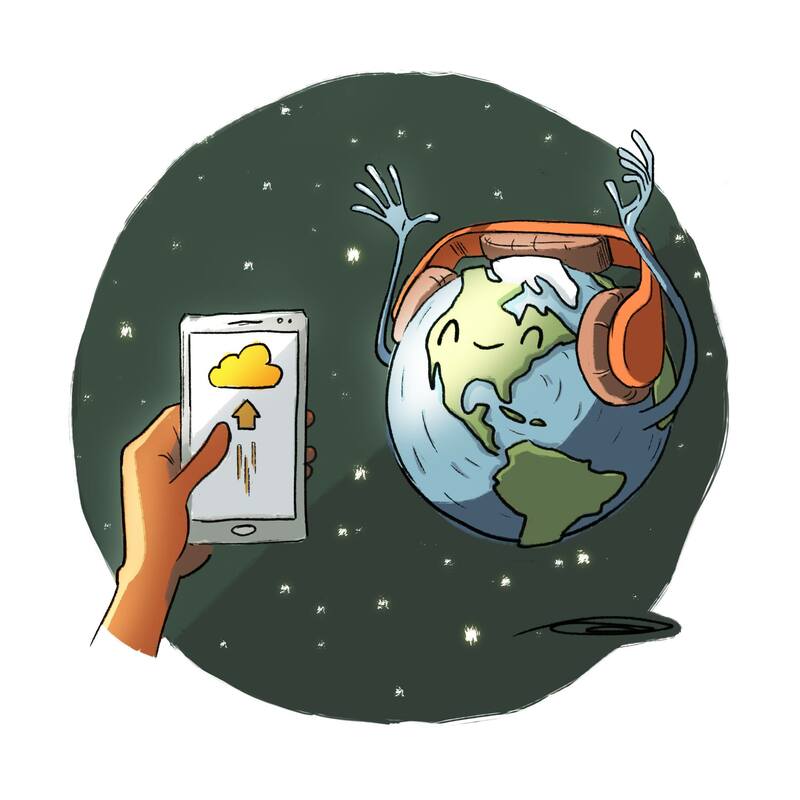 You can download the StoryCorps app. You can figure out the app (I’m right here with you on this step!) The app is designed to be a digital facilitator. You can decide the person you want to interview. You can NOT WAIT. Remember, that your listening will always stand as one of the most powerful acts of love that we are given as humans who inhabit this planet. I can’t wait to hear the interviews you capture and record. Showed David is at tED talk and Annie and Danny to college prep today. Most downloaded the app and plan to take my suggestion to interview someone over Easter. Aren’t you pleased with me?